Here I show one of the photos I do without much planning, if the situation arises I shoot. The boats in the canals disappear very fast, so you don’t have the time to position too much. 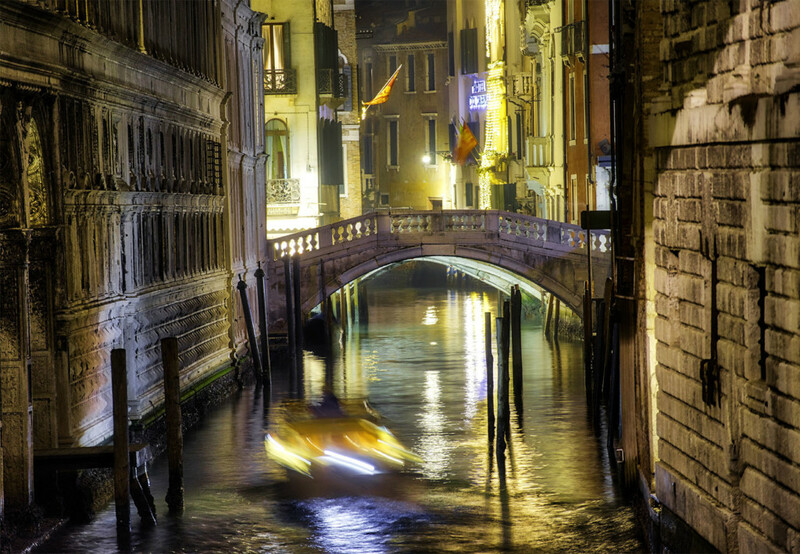 And often the picture results are beautiful, with the blurry boat and the old Venetian walls and that typical bridge which connects the alleys. 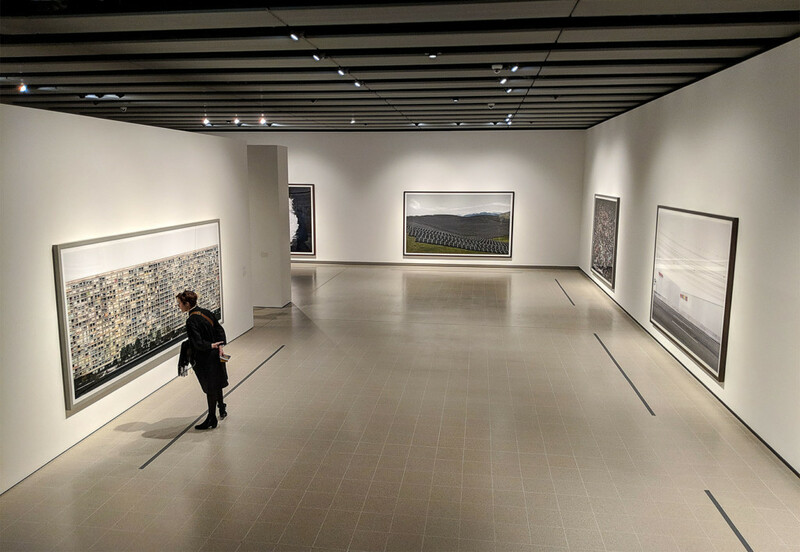 The Hayward Gallery showed an Andreas Gursky exhibition. Most of his big art-works, often with a length of 6 meters and a width of 4 meters, were revealed. Also the most expensive photo in the world, “Rhein II.” An excellent photo exhibition. 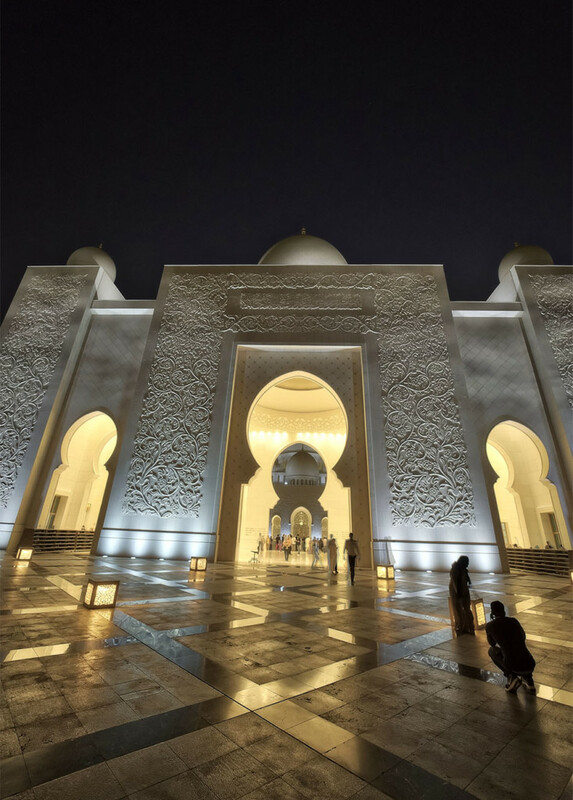 I had chosen the right time for Sheikh Zayed Mosque. I witnessed the blue hour, the golden hour and the night time. This photo was one of my last shots before I left the area. I think it was worth it, an impressive view of an impressive building. I arrived in Glasgow at the later afternoon during heavy rain. It was only possible to go into the parking garage of a shopping center and take some rounds on the levels. Two hours later raining has stopped. I drove to the River Clyde to take shots of the modern, illuminated buildings. It took some tries to get to a viewpoint where I could place my tripod and shoot the photos of nightly Glasgow. 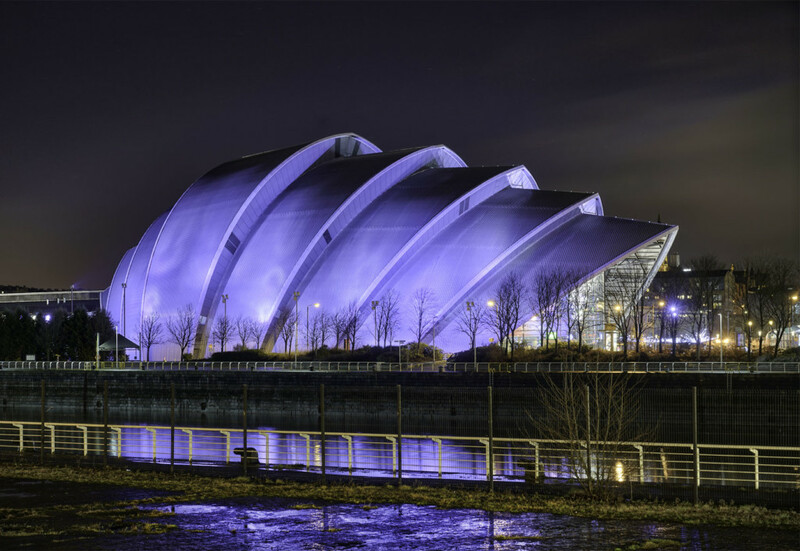 The first shot was the Clyde Auditorium with its blue colors which lies like a big shell beneath the river. 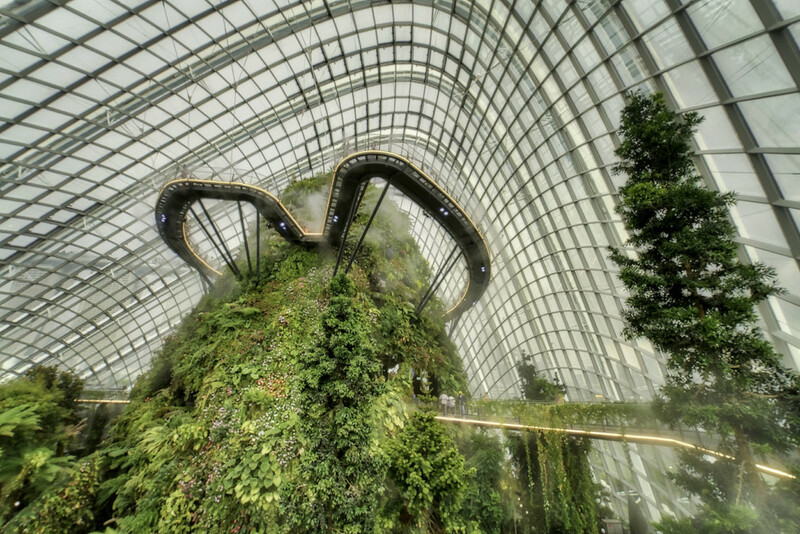 The Cloud Forest near the Gardens at the Bay is an impressive building with a simulated rainforest-walk where a waterfall pours down over a high scarp. In this hall is sub-tropical climate and you have the feeling you are in a Jurassic-Park movie. Even your camera has to a acclimatize before you can start to shoot, lenses are full of dew after you enter this area with high humidity. 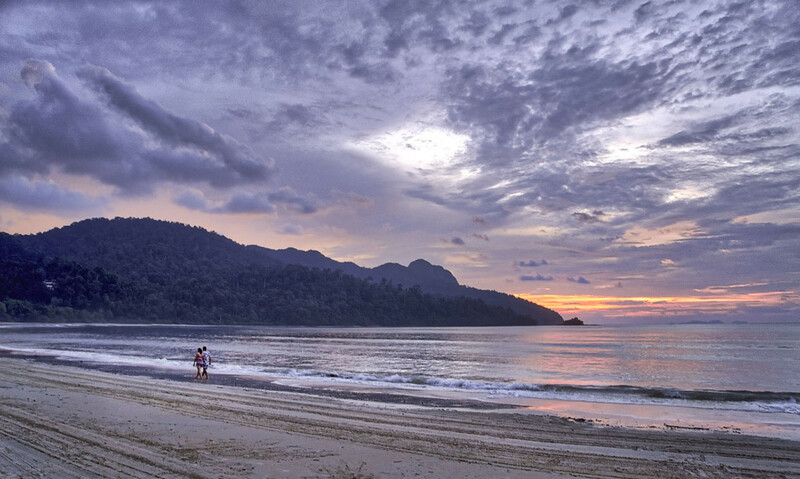 The long beaches of Langkawi bring the classical motives for beaches with sunset. Waiting for the decisive moments was a joy, sea-breeze, beach-feeling and a camera in the hand to catch the scenes. Don’t forget the Diet-Coke with ice and lemon slices and an Amazon Kindle to read a good book. I was walking with my brother on this historical street which is hemmed by old wine houses on both sides. 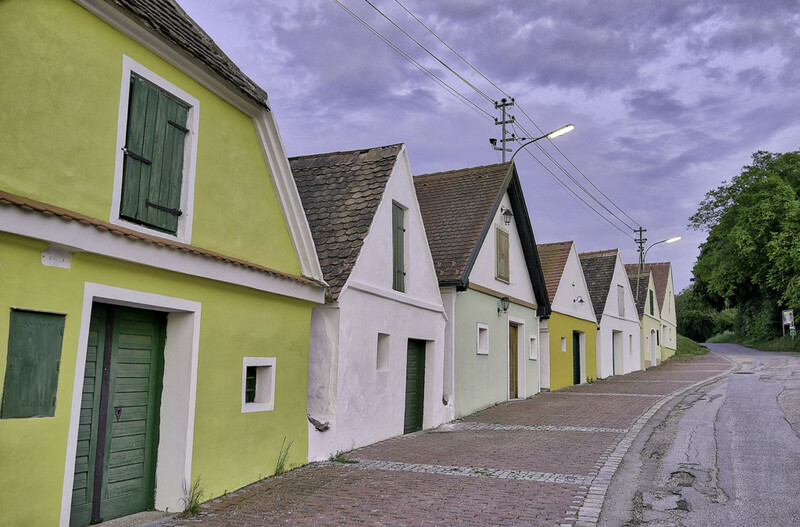 Wine houses are a cultural tradition in Lower Austria’s Weinviertel, an area which lives from wine and tourists. Famous wine types are Green Veltliner, Riesling, Chardonnay and Sauvignon Blanc. The barrels reside in the cellars of these wine houses and can ripen to perfection. 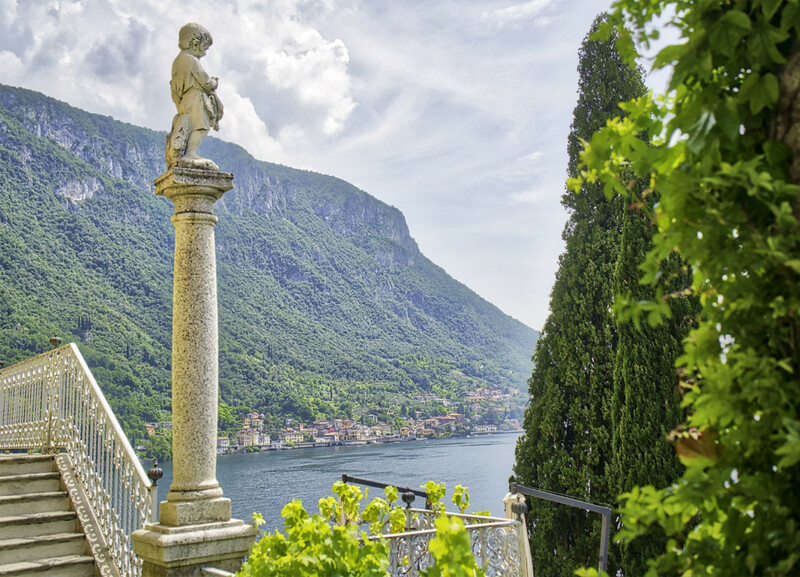 I recommend discovering the neat villages like Varenna or Bellagio at Lake Como with a ferry. You can buy a hop-on-hop-off ticket like with the red-line buses and can plan a flexible schedule. Since we knew before-hand that we wanted to go to Varenna first, we took a speedboat from the city of Como. 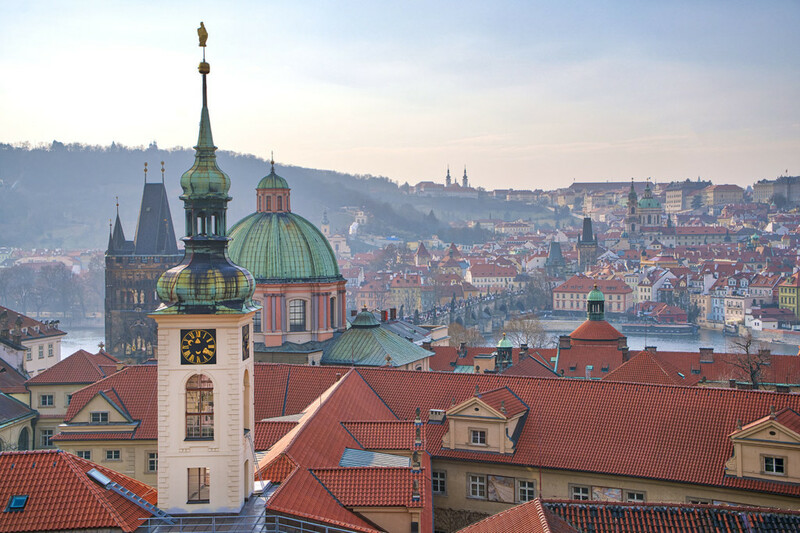 It only takes half the time, so you have more time for sightseeing. I love to visit the Chinatown’s. I think most famous are San Francisco and New York, but I can also recommend London. 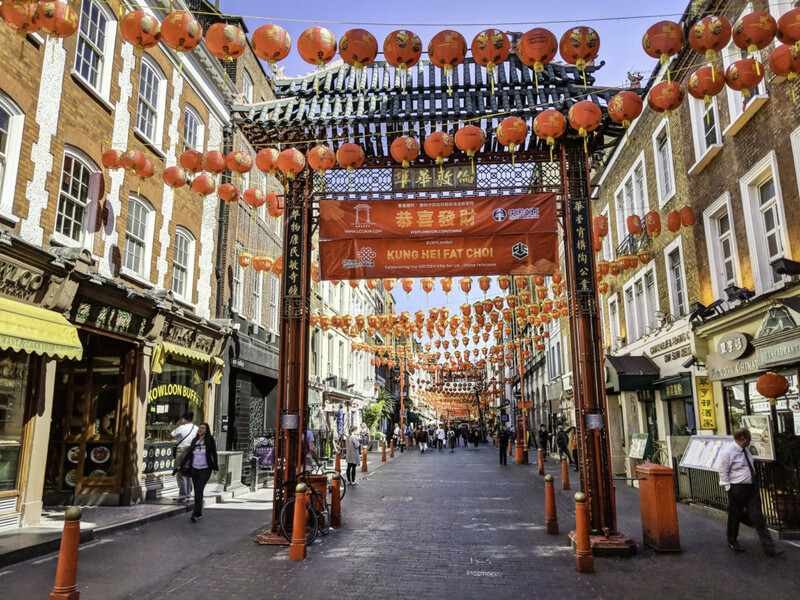 My wife Karin and I were at a street-food market, and two streets on we discovered Chinatown. It’s a mixture of British establishment-houses with Chinese culture. And many shops and food stores.